Sisters make the bad times good and the good times Unforgettable! 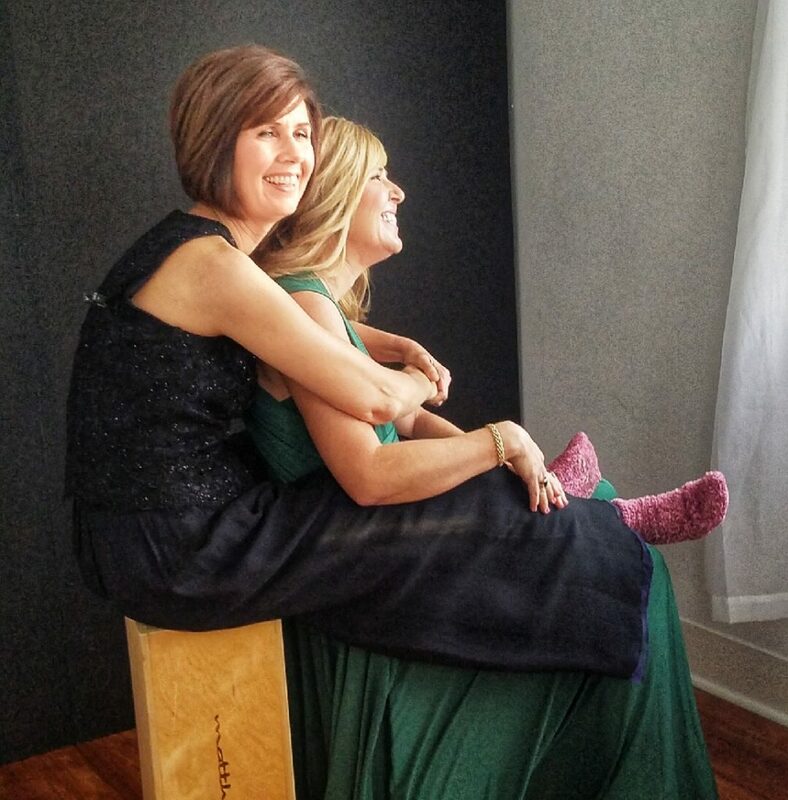 Today I was lucky to be able to photograph this year’s Cancer Society’s Crystal Ball recipient, Traci Kalish. She has an incredible story and there are many that helped her get through her cancer journey but her sister, Lane, was one of the special one’s. So, as a surprise, I decided to include Lane in our portrait session to capture some unforgettable moments. Lane drove from out of town and met us the Beauty shop to have the sisters hair and make up done early on Saturday. As soon as Traci saw her, she broke out in the biggest smile on her face with crocodile tears in her eyes and lots of hugs to give. During our time together I got to hear stories of them growing up and all of their shanagains(mostly Traci’s according to Lane), I got to hear all of the giggles, be impressed at the fabric throwing, heard lots of laugh snorting, watched noses flare, and heard the love and admiration in stories of their Mom and Dad and families. I am truly in awe of these sweet women and the precious memories I know we will all hold close of our time together! Thank you Amber for the cellphone picture of just one of the behind the scene’s moments.